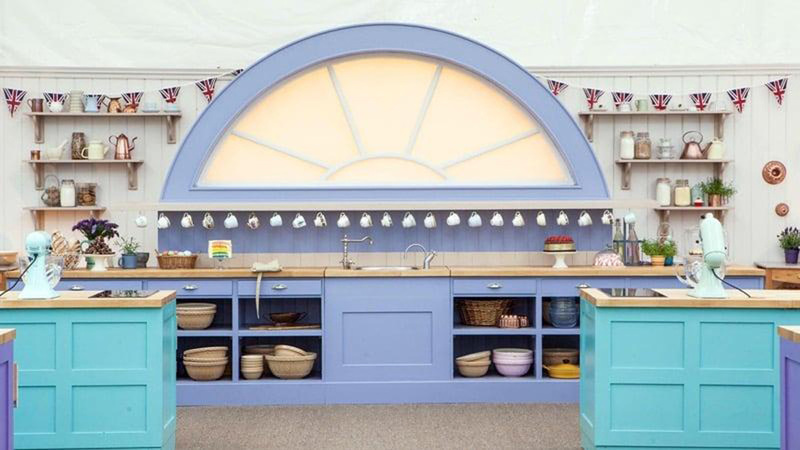 This spring sees an update to Neptune’s Suffolk Kitchen. It has now been pared back even more so it’s minimal the whole way through – as Shaker designs should be. 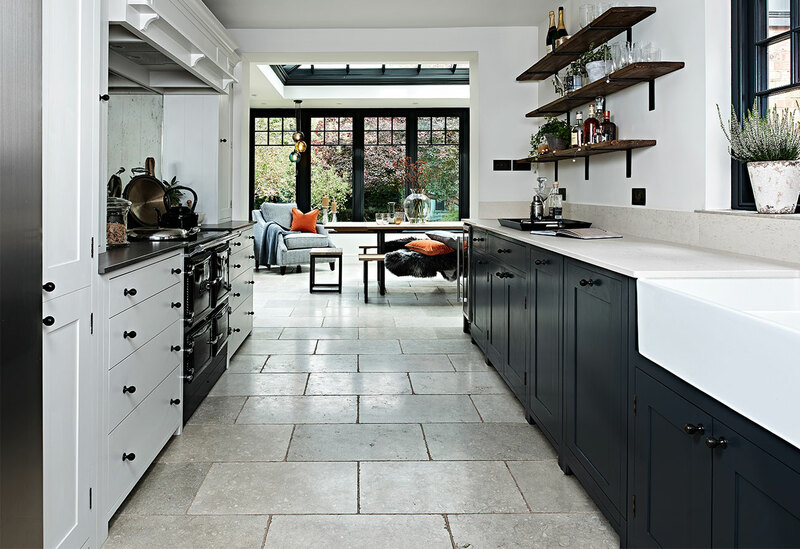 Suffolk is the only Neptune collection with a double-door larder and due to their growing appeal, it now has some more larder-style cabinets. 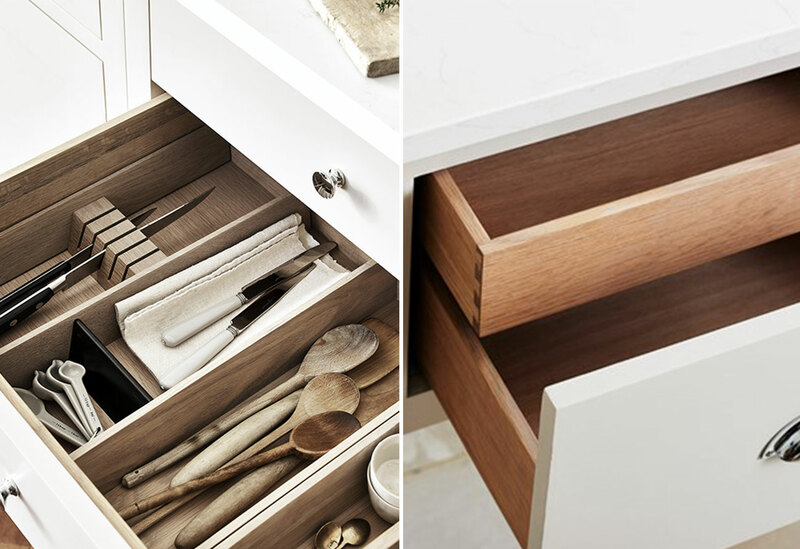 Perfect if you’re looking for something slightly smaller, the countertop bi-fold unit can pair with a drawer base to create a deconstructed larder. 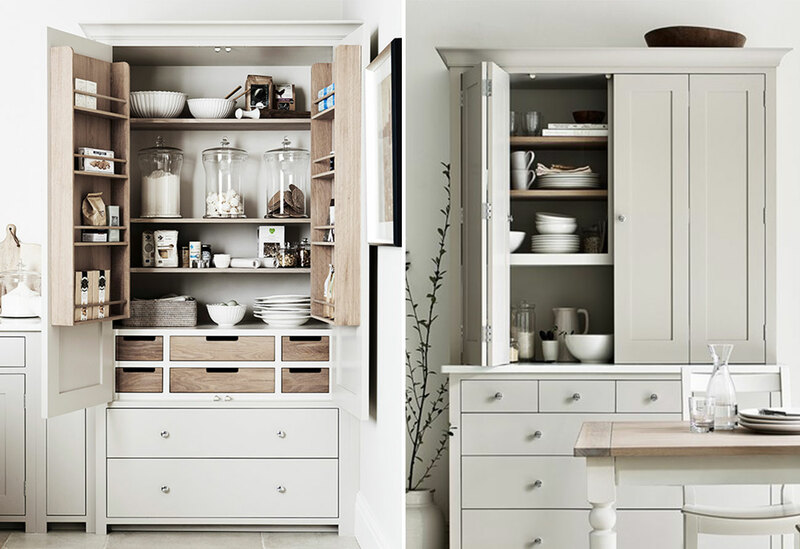 The full-height piece can then be used either as a mini pantry or a broom cupboard. In Suffolk, any cabinet with a drawer will come empty but with a new collection of drawer accessories and inserts, you can organise your drawers perfectly. Oak storage boxes can be configured to feature spice inserts or a wet store for sponges, while tan leather and black rods will protect drawer bases from pan scuffs. 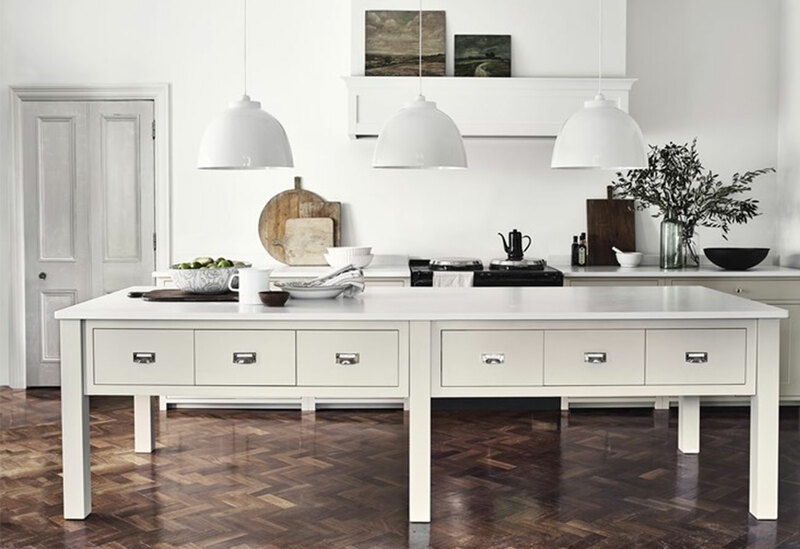 The latest kitchen island from Neptune is freestanding and combines both storage and seating space. 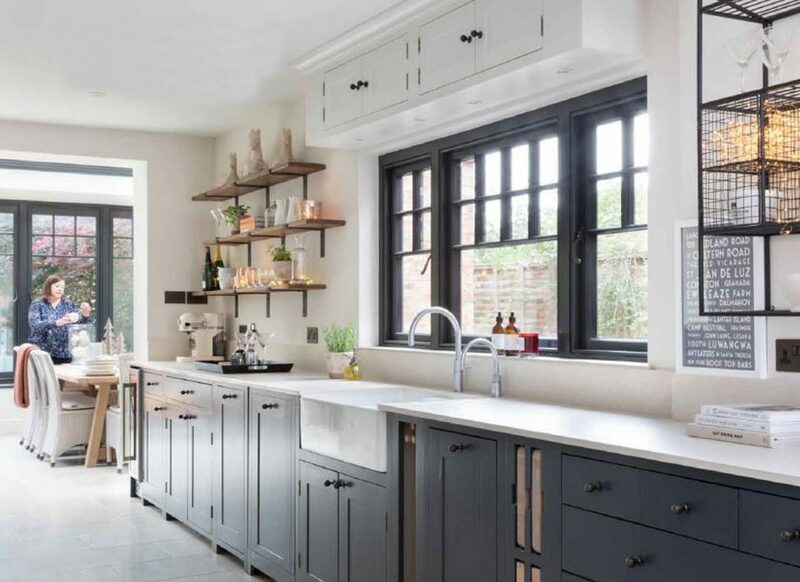 It can be configured to be as small or as large as your space can take, topped with your choice of work surface, and painted to match or contrast with your core cabinetry. 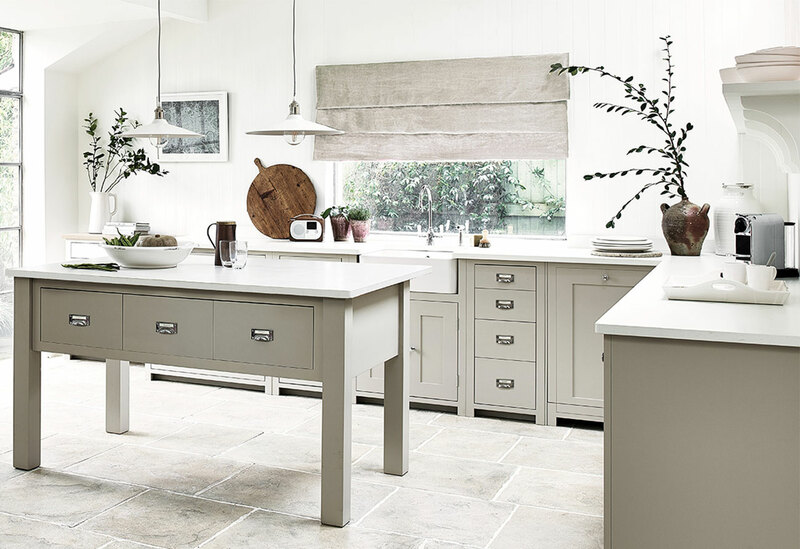 If you like the look of the new Neptune Suffolk kitchen, pop into one of our showrooms for a discussion.